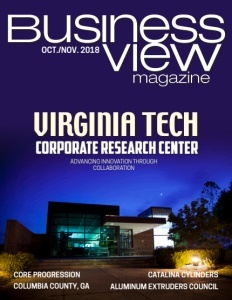 Business View Magazine interviews Michael Ravallo, President and CEO of Pinnacle Freight Systems, as part of our focus on best practices in American business. A market with 2 million tractor-trailers, 1.2 million trucking companies, and over 3 million truck drivers is, undoubtedly, a market with consumer options. It is also, in the eyes of President and CEO, Michael Ravallo, of Pinnacle Freight of Florence, New Jersey, an opportunity to build a niche operation that shows no signs of plateauing any time soon. Since taking over the company in 2010, Ravallo has directed and overseen the evolution of a small truck brokerage into a multi-faceted trucking company specializing in temperature-controlled and hazardous materials. After being recognized by business journal NJBIZ as one of New Jersey’s 50 Fastest Growing Companies three years in a row, Pinnacle Freight continues to prove itself as a top choice among transportation consumers. Today, the firm boasts 100 employees, access to over 60 trucks through lease or for-hire agreements, and a network of agents across the country. While much importance is placed on Pinnacle Freight’s customer service, that service is facilitated by a streamlined operation. Pinnacle has minimized its overhead, transit times, and repair costs by leasing its trucks and power units from companies such as Miller Truck Leasing. By entering into agreements that require the leasing company to manage repairs and provide timely replacements, Pinnacle Freight has greatly reduced downtime and delays, as well as increased customer satisfaction and trust. 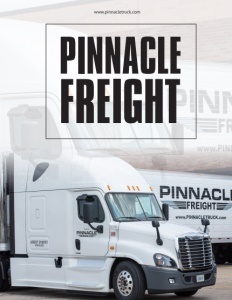 In addition to operating leased vehicles, Pinnacle Freight also contracts small fleets and independents, and by working with individual fleets across the country, the company is able to offer more capacity to its customers and increase overall range without having to lease or purchase additional trucks and trailers. The extra manpower allows for more expansive route options and the ability to offer their Load Direct LTL Program, a delivery system that eliminates terminal transfers across the eastern half of the United States and California. In further efforts to streamline operations at Pinnacle Freight, the company recently partnered with Envirun, a business operations consultancy that offers risk management oversight services. The firm oversees the safety training and compliance requirements of all drivers. Outsourcing these tasks allows the staff at Pinnacle to do what it does best: focus on freight. As this endeavor is organically growing, Ravallo continues to look toward the future. He sees a fleet of 100 Owner/Operators over the next 5-7 years, with a near double increase in revenues. 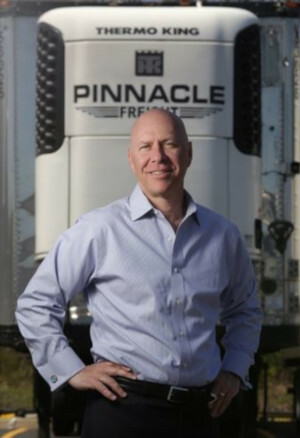 “Pinnacle is making every effort we can to grow the business, add drivers, and retain them,” he states emphatically. Check out this handpicked feature on The Remi Group – The best in customer service. WHO: Pinnacle Freight Systems, Inc.
WHAT: A multi-faceted trucking company specializing in temperature-controlled and hazardous materials.